The look in this mom dog's eyes said everything. 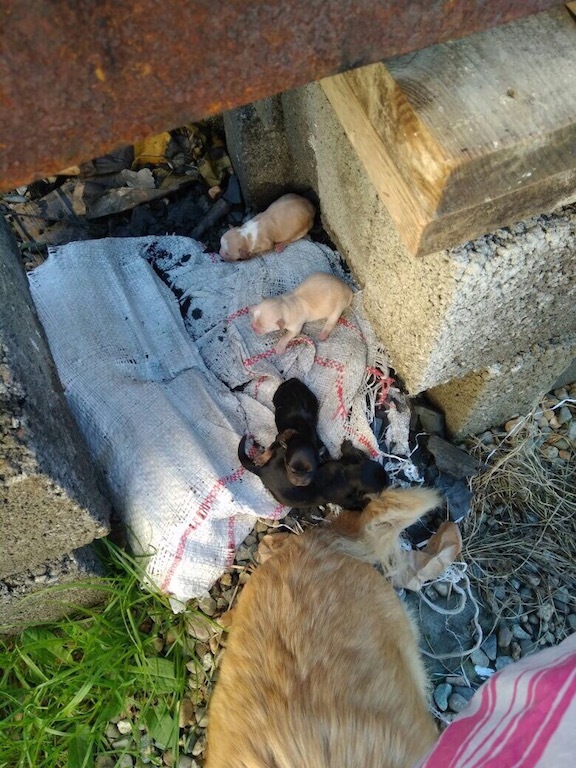 This weekend as the temperatures in Sochi are starting to drop, we found this mom dog in an empty lot trying to survive with her newborn puppies. 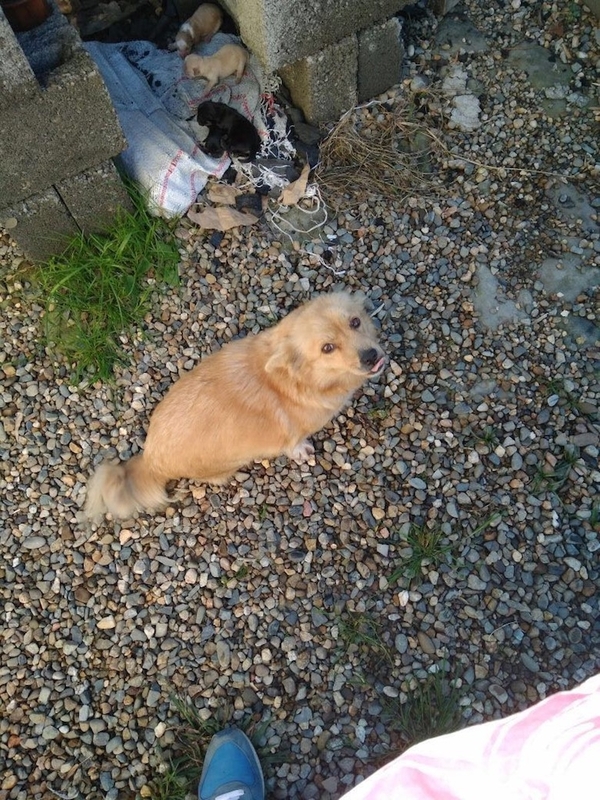 When we approached her, the mom welcomed us wagging her tail. It's clear that up until a few days ago this sweet girl was living in a home but as soon as she had puppies the whole family was tossed out. The mom was lost and desperately looking for help. 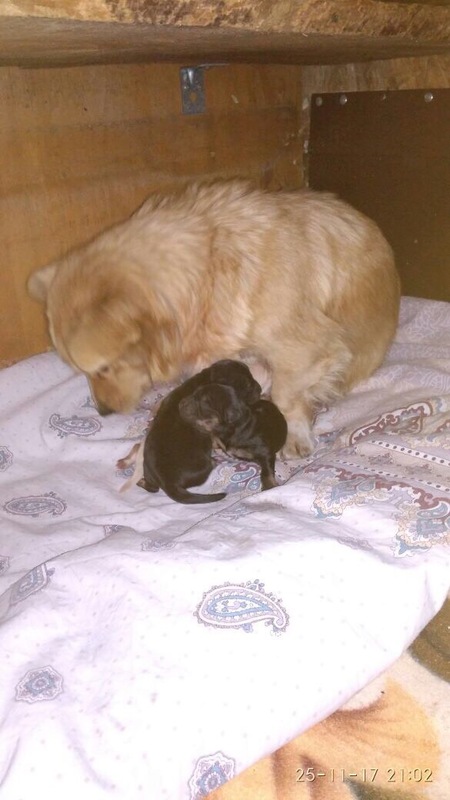 Her puppies were still too young to open their eyes and she needed to feed them and keep them warm. Mom watched carefully as we bent down to scoop them up and put them in a crate. Once we put her in the car next to them, she relaxes a bit. You could tell just how happy she was to be off the street. The entire family is with our foster partner Lena, where they are warm, fed, safe and loved. Once they are ready they'll be at the shelter and ready for adoption. Helping this family off the street has not only saved them but has also prevented countless of other dogs from being born.